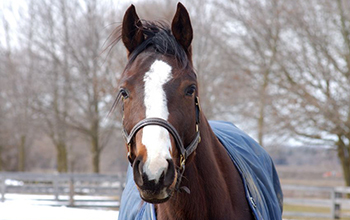 Articles When Should I Blanket My Horse? Blankets tend to compress a coat’s layers, which compromises their insulating properties. Horses that do not live in extremely cold environments – meaning routinely colder than 10°F – will do well without a blanket, provided they are either stalled during the coldest temperatures or have access to a protective shelter. Unless you are showing your horse, blanketing is a personal decision. The blanket will give your horse added warmth, but in return will decrease your horse’s natural winter hair growth. Dr. Luke Bass is an equine veterinarian at Colorado State University’s James L. Voss Veterinary Teaching Hospital.